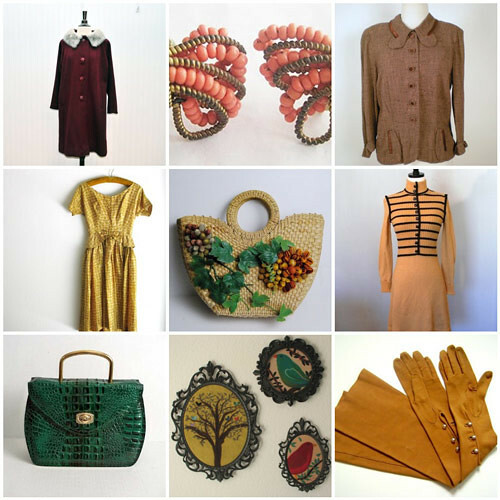 This week's vintage finds have a bit of whimsy to them from fruit decorated straw handbag to a bumblebee inspired 60s knit sweater dress. And quite accidentally, the colors all matched, what a happy coincidence! LOVE LOVE LOVE your blog! Great work! Thank you so much for including us in your segment! Oh my, I love all the items you posted! I bought these little collars: Clementine Collar and Baby Blues Collar from your shop. Can't wait to show them off on my blog!